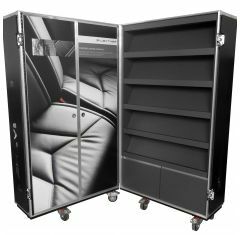 Our bespoke screen flight cases are tailored and crafted to fit your LED and LCD screens perfectly, ensuring optimum protection during transportation, allowing you to rest easy in the knowledge that your screen is in safe hands during all its travels from point A to point B. 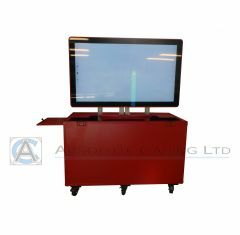 We use accurate CAD Design processes based off the information you provide us about your screen and the details and feature you want your bespoke screen case to include. 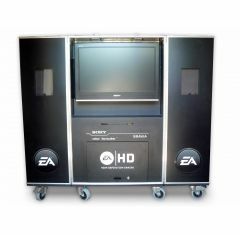 Then using the latest 2D and 3D CAD (Computer Aided Design) programs we’ll be able to design your custom screen case to your exact requirements. The custom interiors for your case are designed to provide complete shock absorption and are perfectly customisable to accommodate your screens unique dimensions. 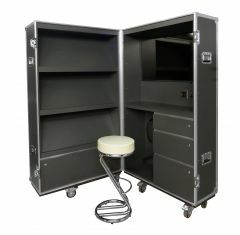 So, if you’re looking for the highest quality bespoke screen flight case, then you have come to the right place, our expert team will work alongside you via phone, email and face to face meetings to understand your exact requirements and ensure you receive only the very best custom screen case. 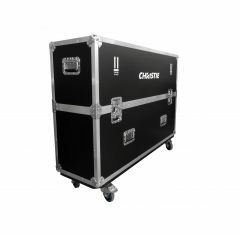 And all our cases come with the option of screen printing or vinyl wrapping at an additional cost. Why not give our team a call today on 01635 579 518 to discuss your bespoke screen case requirements?